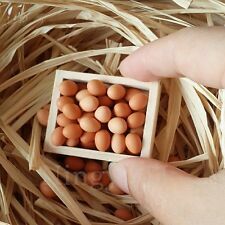 6pcs/set Mini Bread for Dollhouse Miniature (Random). Usage:Dollhouse miniature,kids child pretend play toys,fashion accessories. Also note that monitor settings may vary from computer to computer and may distort actual colors. Spain Seafood Paella. Toys Miniature -. All products are handmade from Thai people and distribute in Thailand. These miniature can decorate your house and for those who love this tiny pieces as well. or any celebration gift you can think of. Don’t miss your chance to add this beautiful set to your collection! · Made of hand painted plastic. · Factory sealed, new & never used. Perfect for deco and setup on table for dollhouse or Barbie Blythe. This little can of Beer with a clearly printed label. =>kitchenware, Cookware, Artificial Flower, Food, Cake, Bottle, Display and Accessories. 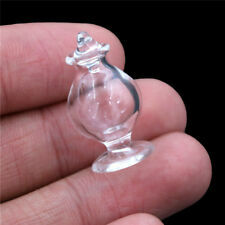 NEW 4 PCS LEMON FRUITS WITH CLEAR GLASS JAR DOLLHOUSE MINIATURE FOOD DECOR KITCHEN TINY CUTE. Lemon approximate 0.4-0.8 cm/PC tiny and very cute made from clay and. GLASS JAR approximate 0.8"x1". COLOR: YELLOW. Box filled with tissue paper. =>kitchenware, Cookware, Artificial Flower, Food, Cake, Bottle, Display and Accessories. Don't forget to see our new products in ARRIVAL. Made form paper. I have other collectibles. Quantity : 10 Pumpkins, 1 Basket. Size (Approx) : Pumpkin 1 cm., Basket 3 cm. Material : Clay, Ceramic. Keep it dry and cool, avoid sunning. or any celebration gift you can think of. We will work with you to find the most suitable solution. TINY Strawberries. You will receive 20 very tiny strawberries, as pictured. These hand-made dollhouse miniature tiny strawberry are of a good quality, and the detail is nice, as you can see from the photo. NEW 5 PCS AVOCADO FRUITS WITH CLEAR GLASS JAR DOLLHOUSE MINIATURE FOOD DECOR KITCHEN TINY CUTE. Avocado approximate 0.4-0.8 cm/PC tiny and very cute made from clay and. GLASS JAR approximate 0.8"x1". All products are handmade from Thai people and distribute in Thailand. These miniature can decorate your house and for those who love this tiny pieces as well. We will work with you to find the most suitable solution. 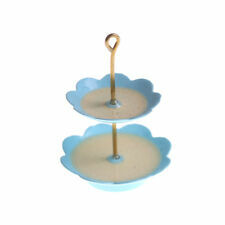 This dollhouse miniature ceramic cake stand with hand-made pie is of a good quality. Dollhouse Miniature Pie on a Ceramic Stand. The pie is loose, and can be removed from the stand. 10 Loose mix bread Made form clay. This set is perfect for a decorate and show on display. =>kitchenware, Cookware, Artificial Flower, Food, Cake, Bottle, Display and Accessories. Don't forget to see our new products in ARRIVAL. Dollhouse Miniatures this perfect for showing on display or deco /Dollhouse. Cake Handmade from Clay. =>kitchenware, Cookware, Artificial Flower, Food, Cake, Bottle, Display and Accessories. Don't forget to see our new products in ARRIVAL. Dollhouse Miniatures this perfect for showing on display or deco Dollhouse. Cake Top Rose Handmade from Clay. =>kitchenware, Cookware, Artificial Flower, Food, Cake, Bottle, Display and Accessories. Don't forget to see our new products in ARRIVAL. 4 set cup of cappuccino handmade on Small cup made from clay. Perfect for deco and setup on table for dollhouse or Barbie Blythe. Coffee Cup Width : 10 mm. =>kitchenware, Cookware, Artificial Flower, Food, Cake, Bottle, Display and Accessories. Bakery can be remove from Tray . All products are handmade from Thai people and distribute in Thailand. 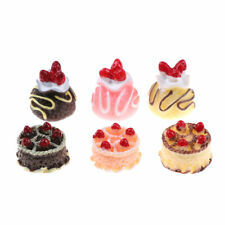 These miniature can decorate your house and for those who love this tiny pieces as well. Quantity : 1 Set (6 Cookies, 1 Tray , 2 Cup ). Keep it dry and cool, avoid sunning. Material: Glass, Clay. Mini cute lemon cup, nice doll accessories doll house accessories. Quantity: 2PCS. Material: Safe Eco- friendly ABS. Size: One Size. Color: see the pictures. Doughnut approximate 1.0 cm/piece. Made from clay tiny and very cute and. GLASS JAR approximate 0.8"x1". COLOR ; DARK BROWN. 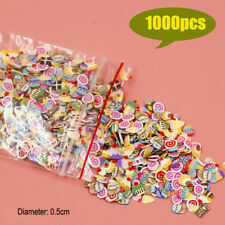 QUANTITY 4 PCS. · Factory sealed, new & never used. Don’t miss your chance to add this beautiful set to your collection! Item Details . Height Approx: Frappuccino 1.1" to-go cup 0.8" mug 0.5". QTY:4pcs set (not including the tray). Color: As picured. 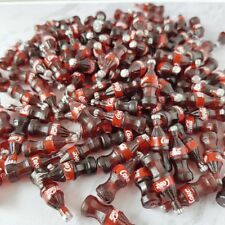 6pcs wine bottle Color: as shown Package included :6pcs wine bottle Note:Light shooting and different displays may cause the color of the item in the picture a little different from the real thing. The measurement allowed error is /-1-3cm. Brand Unbranded MPN Does not apply UPC 4894462094037 EAN 4894462094037 ISBN 4894462094037. All products are handmade from Thai people and distribute in Thailand. These miniature can decorate your house and for those who love this tiny pieces as well. 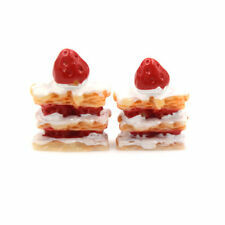 Size (Approx) : Cake 2.5 cm. Quantity : 1 Cake. All products are handmade from Thai people and distribute in Thailand. These miniature can decorate your house and for those who love this tiny pieces as well. Material : Plastic. We will work with you to find the most suitable solution. This little can of SODA with a clearly printed label. Perfect for deco and setup on table for dollhouse or Barbie Blythe. -Coca cola classic. =>kitchenware, Cookware, Artificial Flower, Food, Cake, Bottle, Display and Accessories. 10 Dollhouse Miniature Bread Buns. These hand-made dollhouse miniature bread buns are of a good quality, and the detail is nice, as you can see from the photo. You will receive 10 bread buns, as pictured. NEW GREEN ONION WITH CLEAR GLASS JAR DOLLHOUSE MINIATURE FOOD DECOR KITCHEN TINY CUTE. Green onion approximate long 2 cm/PC tiny and very cute made from clay and. GLASS JAR approximate 0.8"x1". COLOR :GREEN. Quantity :2 Craft Bag, 2 French Fries Bag. All products are handmade from Thai people and distribute in Thailand. These miniature can decorate your house and for those who love this tiny pieces as well. 5 Loose Ice Cream Cone Made form clay. This set is perfect for a decorate and show on display. 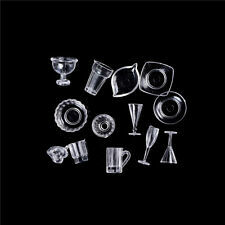 =>kitchenware, Cookware, Artificial Flower, Food, Cake, Bottle, Display and Accessories. Don't forget to see our new products in ARRIVAL. 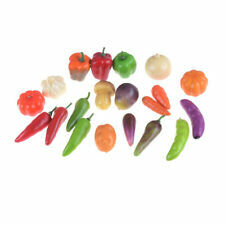 15 Loose Mini Pumpkins Dollhouse Miniatures Fruit. 15 Loose Pumpkins Made form clay. This set is perfect for a decorate Barbie Blythe. =>kitchenware, Cookware, Artificial Flower, Food, Cake, Bottle, Display and Accessories. Applicable for: 1:6 or 1:12 dollhouse. The bottom of the bottle is empty, and the label on the bottle is random. Bottle: Approx. Cup: Approx. Keep it dry and cool, avoid sunning. Dollhouse Miniatures this perfect for showing on display or deco /Dollhouse. Chocolate chip and Tray Handmade from Clay. Chocolate chip size : high x long x wide = 0.50x 0.80x0.80 cm. Tray size: high x long x wide =0.50x 3.00 x2.00 cm. Dollhouse Miniature Food with Coffee on a Ceramic Tray. These hand-made dollhouse miniature ceramic with food are of a good quality, and the detail is nice, as you can see from the photo. Bakery and tray handmade from clay. Perfect for deco and setup on table for dollhouse. Cup of Coffee handmade made from clay. coffee Width : 10 mm. =>kitchenware, Cookware, Artificial Flower, Food, Cake, Bottle, Display and Accessories. Set of 6 Mini Ice-Cream Sundae in Cup Dollhouse Miniatures. Handmade Ice-Cream Sundae Cup. This set is perfect for a decorate dollhouse. =>kitchenware, Cookware, Artificial Flower, Food, Cake, Bottle, Display and Accessories. Suitable for 1:12 dollhouse. 2x Miniature Round Bread. 2x Miniature Long Bread. 2x Miniature Square Bread. Round Bread: Approx. Long Bread: Approx. Square Bread: Approx. Trending at C $1.39eBay determines this price through a machine-learned model of the product's sale prices within the last 90 days.